Washington: Surgeons at the Johns Hopkins Hospital have transplanted a kidney from a living HIV-positive donor to an HIV-positive recipient, a medical breakthrough they hope will expand the pool of available organs and help change perceptions of HIV. The procedure is another step in the evolution of HIV — considered to mean certain death when the AIDS epidemic began in 1981 — and an advance for the 1.1 million people who carry the virus. Medication now can suppress the infection to undetectable levels in many people, and President Donald Trump recently vowed to end transmission of it in the United States by 2030. But stigma still remains. Martinez, who acquired HIV from a blood transfusion as an infant, is expected to speak when Hopkins holds a news conference at 1pm. Thursday to announce the surgery, the first of its kind anywhere. More than 113,000 people are on the US waiting list for organ transplants, most of them seeking kidneys. Others are too sick to be listed or are taken off the list when their disease progresses too far. But a 2017 study of 42,000 people led by Hopkins researchers showed that for some healthy HIV-positive donors, the risk of developing serious kidney disease is not much greater than it is for many HIV-negative people, especially those who engage in behaviours such as smoking. The organ was implanted in the recipient by a separate team of surgeons, the normal procedure in transplantation. The operation was performed by Niraj Desai, an assistant professor of surgery at Hopkins. The kidney was implanted near the recipient’s pelvis through a six-to-eight inch incision in the abdomen, and the recipient’s kidneys were not removed, as is common practice, Desai said. 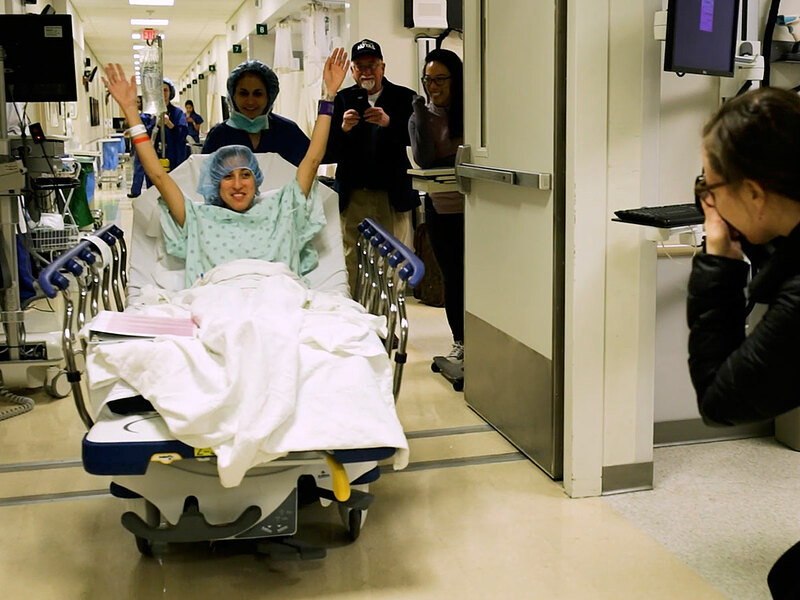 On average, kidney recipients can expect 10 to 15 years out of a transplanted kidney, Desai said, though recipients of live kidney donation tend to do a little better than those who receive organs from deceased donors. After that period, the current recipient would require another transplant or go back on dialysis, he said. Martinez and the recipient will remain on antiretroviral medication indefinitely to control their HIV. Resistance to HIV medication can vary from person to person, so doctors must monitor the recipient closely in the months after the donor organ is introduced. The recipient will also take drugs to prevent organ rejection, and those are not expected to significantly interfere with the HIV-suppressing medications. Martinez is in near-normal physical health. Her viral load is undetectable. “Her health is excellent. Her HIV is well controlled. Her immune system is essentially normal,” said Christine Durand, an associate professor of medicine at Hopkins and a member of the team that evaluated Martinez. In 1983, Martinez and her twin sister were born 12 weeks prematurely in San Jose and soon developed anaemia. The daughter of a naval officer, Martinez was taken to a military hospital in San Francisco for a blood transfusion in the days before the supply was tested for HIV, and she acquired the infection. She and her family were not aware of the infection until she was checked before eye surgery at the age of 8. She was watched in school to ensure that she wasn’t a health hazard to other children, she said. She later learnt that one principal asked: “Why are we educating her with public dollars if she’s going to die?” When a housemate found out she had HIV, he moved out, leaving his belongings behind. A public health consultant who lives in Atlanta, Martinez was aware of the HIV Organ Policy Equity Act when it was enacted in 2013. The next year, she saw an episode of the television show “Grey’s Anatomy” in which the writers invented a story about a transplant from a live HIV-positive donor. She eventually contacted Segev and volunteered for the gruelling regimen of tests that led her to become the first person in the Hopkins clinical trial.